Researchers noticed the Polish officer's delicate bone structure after the skeleton was extracted from the Pulaski monument in Savannah, Georgia. Estabrook said her team is not the first to suspect that Pulaski might not have been a man. Others also noticed the delicate bone structure after the skeleton was extracted from the Pulaski monument in Savannah, Georgia. The general was only between 5-foot-2 and 5-foot-4 inches tall. “Part of the reason it wasn’t more publicized at the time was that without DNA confirmation that this was Pulaski, it was easy to dismiss,” Estabrook said. That changed after the team of scientists, that included Estabrook, were able to confirm that the bones were a match to DNA taken from Pulaski’s great niece. But Pulaski never married. And while Pulaski’s letters reveal “he had a close relationship with a woman who ended up marrying a Polish prince,” it’s not clear whether there were any other women in his life. “A lot of biographies play up that lost love romance angle,” Estabrook said. 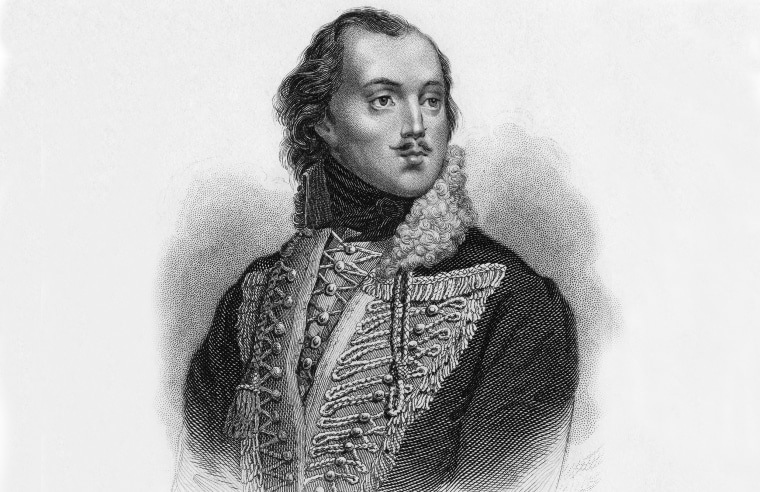 Born in 1745, Pulaski was a member of the Polish nobility and a skilled cavalry officer who fought against the Russians when they tried to take over Poland. Pulaski fled to Paris when it was discovered that he had been part of a conspiracy to assassinate a puppet king imposed on Poland by Moscow. There, Pulaski met Benjamin Franklin, who dispatched the young officer to the rebellious American colonies to join George Washington’s army. Pulaski proved his — or her, or their — mettle in 1777 by preventing advancing British troops from capturing Washington at the Battle of Brandywine. A grateful Washington made Pulaski a brigadier general and the Pole set about turning the Continental Army’s cavalry into a well-trained fighting force — despite the fact that Pulaski barely spoke any English. Since then, numerous towns, counties and schools have been named after Pulaski, along with important arteries such as the General Pulaski Skyway in New Jersey and the Pulaski Road in Chicago. Polish-American police officers in New York City belong to The Pulaski Association. And there’s also the Pulaski Day parade, which has been held annually since 1937 in New York City and follows the same route up Fifth Avenue as the St. Patrick’s Day parade. Told of the revelations about Pulaski, Richard Zawisny, president of the annual Pulaski Day parade, admitted, "I'd heard something about this before, but I'm a little shocked by this." "But in this day and age, I don't think it will matter to most people," he said. "I really believe that the majority won't care, and it doesn't take away from the fact that Pulaski was a Polish-American hero."